We specialise in unique cult film screening events. in celebration of a Bruce Lee anniversary. – a Grade II listed 1920’s picture palace cinema. at the National Science and Media Museum. August bank holiday Sunday will see one of cinema’s most iconic film trilogies come to Sheffield’s historic Abbeydale Picture House – the Back To The Future Trilogy. Traveling through time in a modified DeLorean, our teenage protagonist Marty McFly (Michael J Fox) encounters his family tree and the residents of Hill Valley at different points in history, as he and the eccentric scientist Doc Brown (Christopher Lloyd) try to set right a time-altering course of events that disrupt the space time continuum. An unforgettable adventure through time, from the past to the (not-so-distant) future, featuring possibly the most iconic car in cinema history, and of course, hoverboards, the Back To The Future films were a worldwide cultural phenomenon that literally changed the future of the adventure movie genre. 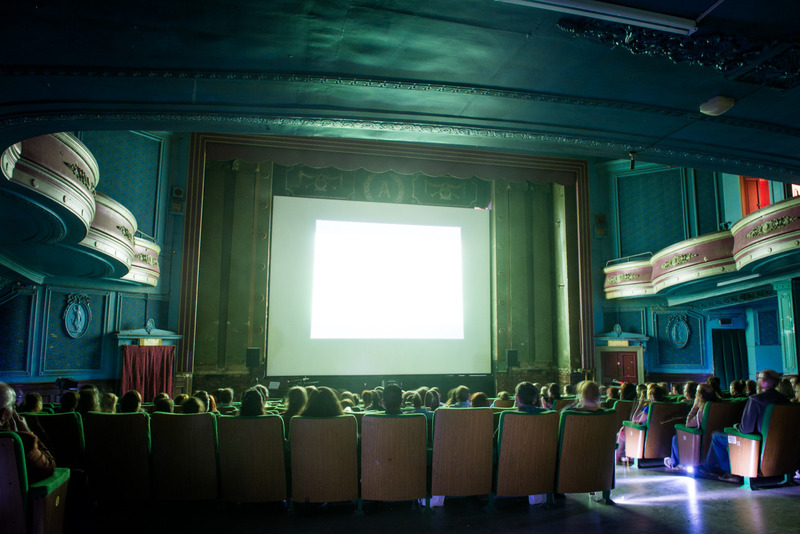 Hosted at the Abbeydale Picture House – a Grade II listed 1920’s picture palace cinema, bringing the sense of occasion to match one of the most iconic trilogies in cinema history. All three films – one day – one ticket. the final film in the trilogy finishing at 7:30pm. All 3 films have a PG certificate – families and children welcome. 2018 marks the 30th Anniversary of one of the most iconic animated films to be produced by the world renowned Studio Ghibli – My Neighbour Totoro. To celebrate this, Reel Steel presents a special 35mm film screening of this much loved classic at Sheffield’s historic Abbeydale Picture House. My Neighbour Totoro follows the story of Mei and her sister Satsuki, who along with their Father move to a new home while their Mother recovers from illness. They soon discover they share this new home and the surrounding forest with a rather unusual creature – a forest spirit named Totoro. Upon discovering a whole new world and the friendship of woodland creatures, they find magic and wonder they never knew existed. A truly original feel-good tale of childhood, friends and nature, My Neighbour Totoro shows famed Japanese animation director Hayao Miyazaki at his very best, with this dearly loved and critically acclaimed universal classic for all generations. Hosted at the Abbeydale Picture House – a Grade II listed 1920’s picture palace cinema, bringing the sense of occasion to match an anniversary of this iconic animated masterpiece. Following our string of cult film screening events at the Abbeydale Picture House in 2017, we hope you’ll join us for our first film event of 2018 for a rare 35mm film screening celebrating the 30th Anniversary of a cult animated classic. Please note this film screening will be the Japanese language version with English subtitles. This film has a U certificate – suitable for all ages. 2017 marks the 30th Anniversary of the cult sci-fi action classic Predator, to celebrate this we’ll be putting it head-to-head in a double-bill screening with another of the most iconic creatures from another world – Alien. We start in deep space, as we follow the crew of the commercial starship the Nostromo, as they are awakened from cryo-sleep halfway through their journey home upon the discovery of a signal coming from a nearby planet. When they investigate, they find the ruin of a spacecraft, and discover more than anything they could have possibly imagined. Featuring iconic movie heroine Ellen Ripley (Sigourney Weaver), Alien is a landmark sci-fi horror. We then head earthbound to a mission in the Latin American jungle, as we follow a military rescue unit searching for allies captured by guerrilla forces, who then become hunted by a Predator from another world. With Arnold Schwarzenegger in one of his most iconic roles, the commandos find themselves in a fight to stay alive. Following our screenings of Bruce Lee’s Enter The Dragon, our anniversary celebration of Evil Dead 2, and our sold-out double bill screening of The Thing and Big Trouble In Little China, we hope you’ll join us again for our own Alien vs Predator event with an evening of cult sci-fi classics. Please note that this screening has an 18 certificate – entry to the event will only be for those (including ticket holders) above this age. The movie partnership of legendary horror film director John Carpenter and Hollywood favourite Kurt Russell produced several films through the 1980’s and 90’s, we’re celebrating this movie duo with a back-to-back screening of a pair of films holding a cult status only matched by their levels of danger from another world – The Thing, and Big Trouble In Little China. 2017 marks the 35th anniversary of John Carpenter’s The Thing – set in the winter of 1982, a twelve man research team at a remote Antarctic research station discover alien life buried in the snow. Soon unfrozen, the form changing alien takes host of members of the team, picking them off one by one, in a bid to survive and escape. With ever-increasing tension, iconic special effects, and a superb score from Oscar winning soundtrack legend Ennio Morricone, The Thing is a landmark sci-fi horror. Then to round off the evening, we head to the streets of San Francisco’s Chinatown, for a film which the director John Carpenter described as an “action adventure comedy kung fu ghost story monster movie” – Big Trouble In Little China. Jack Burton (Kurt Russell) is a loud-mouthed truck driver who finds himself caught up in a supernatural conflict, when his friend’s girlfriend is kidnapped to be married to a 2000 year old evil spirit named Lo Pan, who intends to break his curse and gain a new physical body. Following our screenings of Bruce Lee’s Enter The Dragon and our anniversary celebration of Evil Dead 2, we hope you’ll join us again this coming bank holiday weekend for a supernatural double-bill feature of true cult classics. 2017 marks the 30th anniversary of a film widely regarded as the definitive cult horror – Evil Dead 2. Evil Dead 2 follows the story of Ash (played by Bruce Campbell), whose trip away to a cabin in the woods turns to disaster following the discovery of the Book of the Dead, when an evil is released from which he must survive the night. Having to defend himself against evil spirits, zombies and a possessed hand, we see why Evil Dead 2 became an influential cult movie favourite – with the perfect balance of gore and humour, it’s an imaginative and unique horror film that’s delirious and demented fun. Hosted at the Abbeydale Picture House – a Grade II listed 1920’s picture palace cinema, bringing the sense of occasion to match an anniversary of this genre defining horror spectacular. Following our last event at the Abbeydale Picture House celebrating a Bruce Lee anniversary with a screening of Enter The Dragon, we hope you’ll join us for the first film event at the venue in 2017 with another anniversary celebration screening of a true cult classic. Doors open 7pm, film starts 8:30pm. Please note that this film has an 18 certificate – entry to the event will only be for those (including ticket holders) above this age. 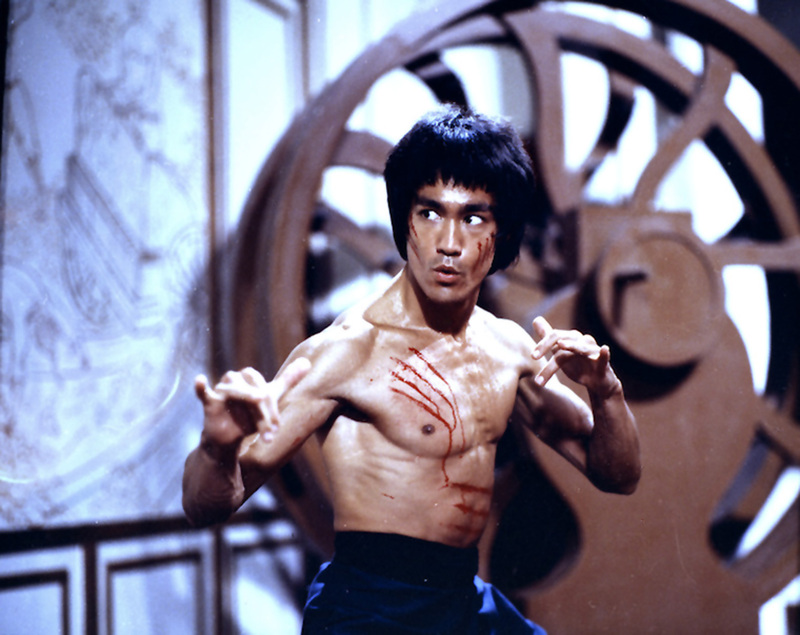 November 27th, 2015 marks what would have been Bruce Lee’s 75th birthday – an anniversary which will be celebrated at the Abbeydale Picture House with a screening of his final film, Enter The Dragon. 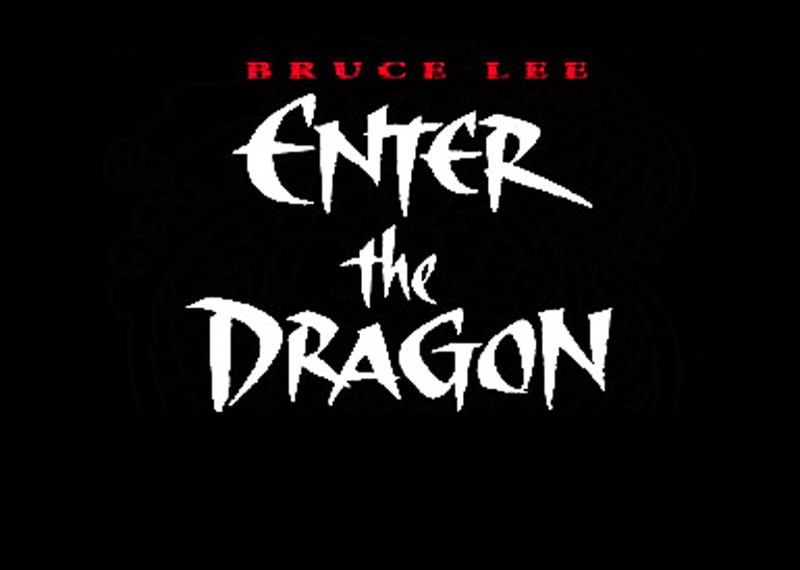 Enter The Dragon is widely regarded as one of the greatest martial arts movies of all time – in it we follow Lee, a Shaolin martial artist from Hong Kong, who receives an invitation to a martial arts tournament organised on an island fortress by the criminal warlord known as Han. Going undercover on a mission to restore Shaolin honour and avenge the death of his sister, we see why Bruce Lee became known across the world as one of the most exciting stars on screen, in the most enthralling martial arts movie of its time. Hosted at the Abbeydale Picture House – a Grade II listed 1920’s picture palace cinema, bringing the sense of occasion to match an anniversary of a movie icon. Doors open 7:30pm, film starts 8:30pm.